A small village near Velez, whose valley it overlooks from its position atop a low ridge surrounded by olive and almond trees, and vineyards, as well as orchards and fields of sub-tropical crops. 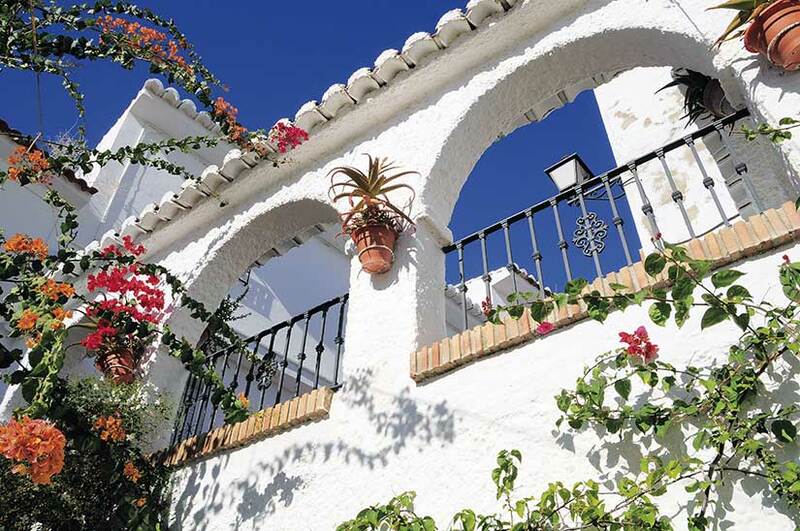 It was the birthplace of don Eduardo Ocon, Malaga’s best-known and most illustrious musician. The village is of Arabic origin, as suggested by its name, derived from Banu Mukarram, meaning “the tribe of Mukarram”, probably a Berber people. It was conquered by Ferdinand the Catholic in the wake of the capture of Velez Malaga in 1487. In the years following the conquest, coexistence between Christian settlers and Moslems was uneasy. After the expulsion of the moriscos (Moslem converts to Christianity) in the second half of the 16th century, the village was repopulated with Old Christians from Puente Genil, Estepa, Antequera and other locations.